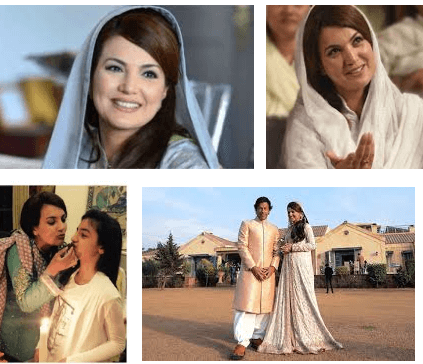 Reham Khan a renowned name after the Imran Khan ex-wife title. It is the title which involve her directly or indirectly on the political corridor. She decided not to take about the legal notices. She wise enough to consider that legal notices are acknowledged once they are served. It is the whole matter of legal counsel to respond which legally correct. It is not a thing to be discussed on TV shows. Political storm begins after the manuscript. Still, she is taking so lightly all these allegations. Even she thanks to all Twitter (social media users) to promote her book for free of cost. Estimate of popularity could be reflect in this way that most of the social media users being observed to say that it is the book full of lies. it is all about the Reham Khan Book Will Cause Political Storm In Pakistan. It is baseless story fabricated in the form of book and nothing about the autobiography. Hamza Ali Abbasi a man comes up with the allegations. He did not utter about his source but said only that he heard them from somewhere and passed it to the media. Imran Khan is the main political figure involved in the content of the book. When he approached by the media on 4 June 2018, he said he does not care about the book and its content. It is political statement because a normal person can judge the feeling from his face. The face is true interpretation of heart. If Imran Khan did not commit any wrong in his life, his expression should sustain. His expression while political speeches much formal and consistent but this time he has no controls on his nerves. Most of the people on social media are busy in promoting the book which shall publish on Eid. Personal attacks should be avoided in the matter of Raham Khan Book like shut down her Twitter, Shut Down her youtube channel, Shut down her FB. Reham Khan Book And Political Storm In Pakistan.